Ready to ship hair pieces in color as seen in pictures, last pieces of dread falls, hair jewelry or discontinued belly dance accessories with large discounts. Have a look at the many ready to ship bargain hair pieces, belly dance accessories, peacock feather extensions, braided headbands, the last pieces of discontinued dread falls and hair jewelry in our sale section! Most of these items are dscounted by 20 %, 25 % or 30 %! Most items in this shop sections are available only once at discounted price - first come, first served! When you see a Sold-Out-Button instead of an Add-To-Cart-Button, someone else was quicker. Why are these items discounted? These hair pieces are ready to ship and come in the colors you see in the pictures. They are not custom-matched and made to order like all hair pieces in the other shop sections. Bargain hair extensions could not be delivered to their recipient, we received them back unopened, so they are 100 % new. Or they were worn once by a model or a doll for product pictures which meand they are in new condition. We brushed them, braided or twisted braids again and packed them with instructions for use and care. You receive them exactly like any custom-matched hair piece from our shop. We simply don't want to store them and wait until someone orders respective model in respective color. This could take a long time since we offer about 350 different hair piece models! So we'd rather make you happy with a high quality hair piece, braid or hair fall at bargain price than storing these pieces for maybe a long time! 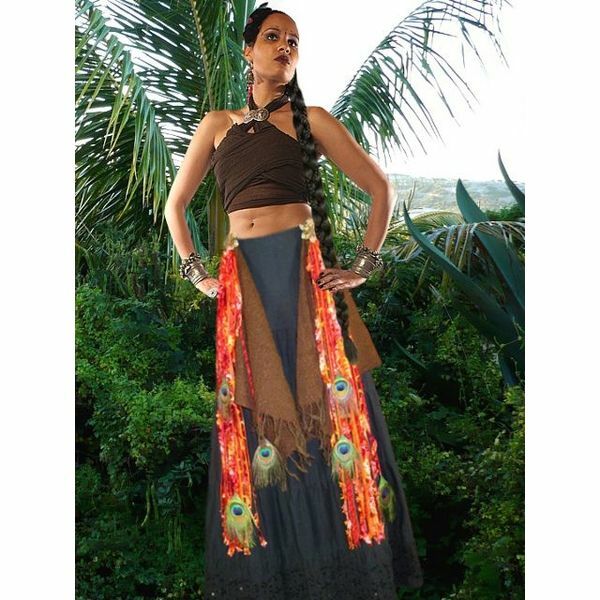 Most other items are last pieces of discontinued dread falls, tribal fusion belly dance accessories or hair jewelry which we would like to sell quickly to use the storage space for new material!